February is Black History Month, and mid-Michigan is paying tribute. LANSING, Mich. — February is Black History Month, and mid-Michigan is paying tribute. 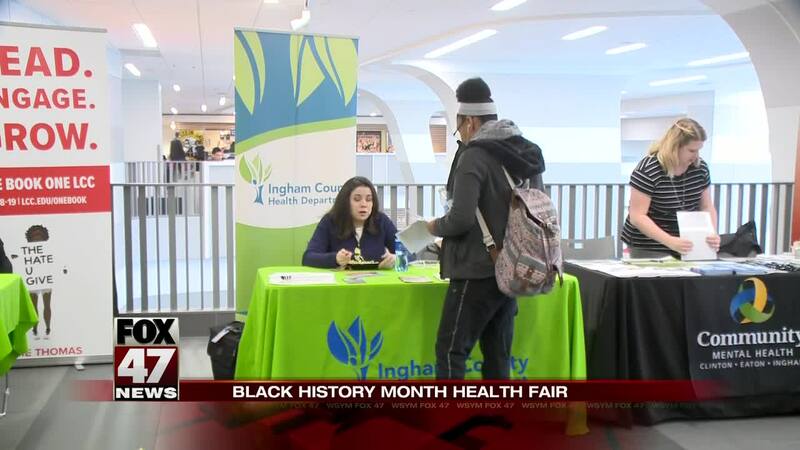 Today at Lansing Community College people turned out at the Gannon building for a Black History Month community health fair. Local organizations offering free educational resources and demonstrations focusing on health and wellness. Willie Davis, a Professor at Lansing Community College shared that "We just want to make sure that people are healthy, get some issues, telling them how to prevent disease as well as some ways to look at talking to others, especially their parents, since they're students and other community people how to maintain their health." There are a number of other events celebrating Black History Month at Lansing Community College and all of them are free. You can find a full list on the Lansing Community College website .